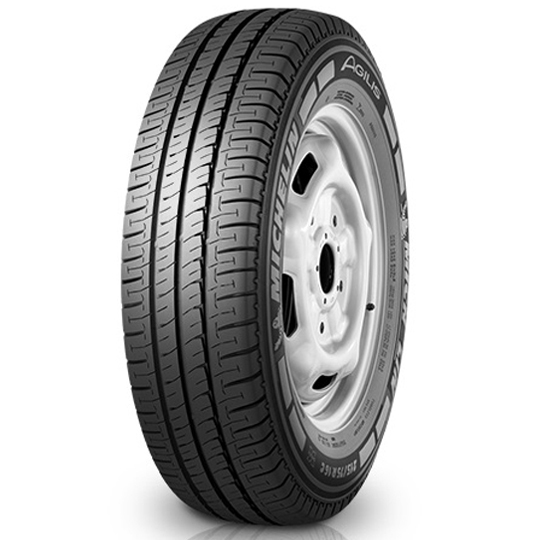 Michelin Agilis is a new generation premium passenger car tyre. It is best suited for both city roads as well as the highways where you need high-speed stability. The cross-climate ability of the tyre helps it prod on any terrain be it mud, snow, wet or dry. Touted as a total performance tyre, the Agilis is indeed way better than its predecessor — Michelin Vanpix — in terms of mileage and grip. The Agilis provides impeccable fuel economy — approximately 30% more than its predecessor. Apart from its authoritative grip, it halts in a significantly shorter distance — takes 6.3 meters less distance than its competition. Above all, the presence of large tread blocks, full-depth sipes with sharp edges, deep and wide tread grooves and self-cleaning capacity makes the Agilis a perfect tyre to roll on in every weather condition. Michelin Agilis helps you return impressive fuel efficiency, thanks to its Unique Tread Compound which comes with an optimum blend of polymer. The inclusion of durable contact patch technology with full nylon cap ply ensures better grip and surface contact on the go. Eight smartly placed kerb protectors on the tyre sidewall make sure it’s completely secured from road hazards. For added safety, it gets rigid sculpture with 3D self-locking sipes that aids in dry braking. Packed with grip-maximising tread compound, the Agilis assures perfect braking even in wet conditions. The all-weather performance tyre gets V-shaped tread-pattern with wide grooves for easy water/snow evacuation ensuring optimal traction on all surfaces. For the right tyre wear monitoring, the Michelin Agilis gets 4 levels tread wear indicator, which ensures you always remain informed about the current condition of your Agilis tyre.